At Brian Cozzi, Inc. we strive to build websites that are optimized for mobile and have worked with many new clients to update older sites for mobile-friendliness. While we have written blog posts in the past that outline the importance of mobile optimization for modern websites, there is still a wealth of confusion over what it means to have a mobile site, how they are built, and what design approach they use. Let’s review key mobile-related terms and what they mean for you. Any site that has been optimized to make it easy to use on mobile devices is considered mobile-friendly. 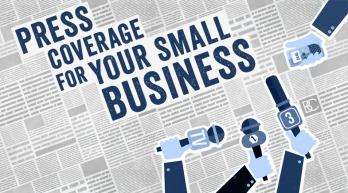 This often includes larger, touchscreen-friendly buttons, optimized images, click-to-call phone numbers, and content formatted for easy reading on a small screen. This isn’t a concrete entity but rather a state of mind that guides how a site is designed and built. With mobile-first design, a mobile version of a website is created first, and enhancements are made to the desktop version later. Adaptive sites use unique page layouts for different devices. When users access the website, servers detect the type of device and loads content appropriately for the configured page layout. This is often used to make older sites more mobile-friendly. Responsive design enables websites to adjust styling based on the screen size of the device being used. It does not require separate page layouts for different device sizes and is the current standard in mobile optimization. When the mobile revolution took off, many websites created separate mobile sites with a different URL starting in the m-dot prefix. Users are redirected to the m-dot (http://m.domain.com) site, which offers fewer pages, simple navigation, and less content. With the rise of responsive development benefits, m-dot has become a less desired solution. 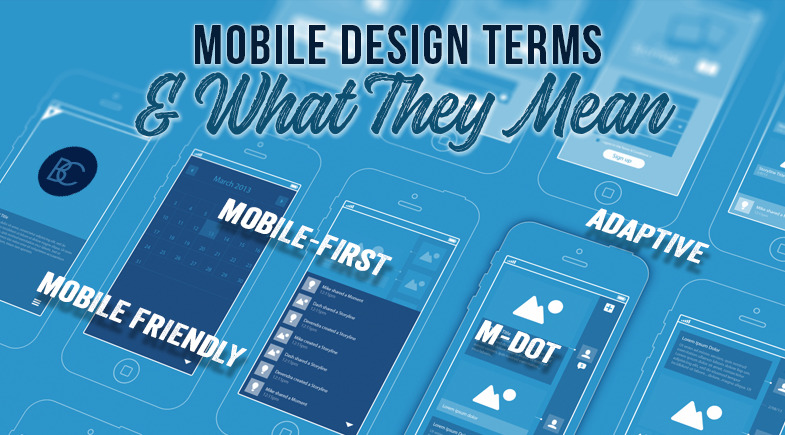 Navigating the terminology of the mobile design world can be tricky. 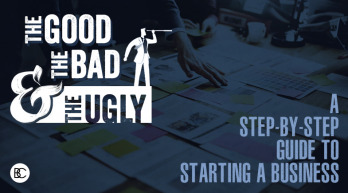 Whether you are building a website, application, or a game, appearance has a great impact on both popularity and usability, so it is essential to understand the process as it is taking place. The mobile web is here to stay and having a mobile website that provides the right approach to the mobile user experience brings success!